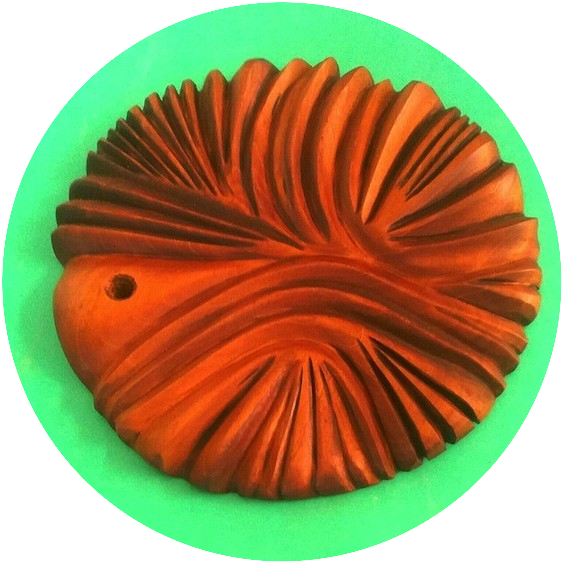 I am in the process of creating a new series if relief wood sculptures, that were inspired by a fiber artist from Barbados; we shared many joint exhibitions during the seventies and early eighties. 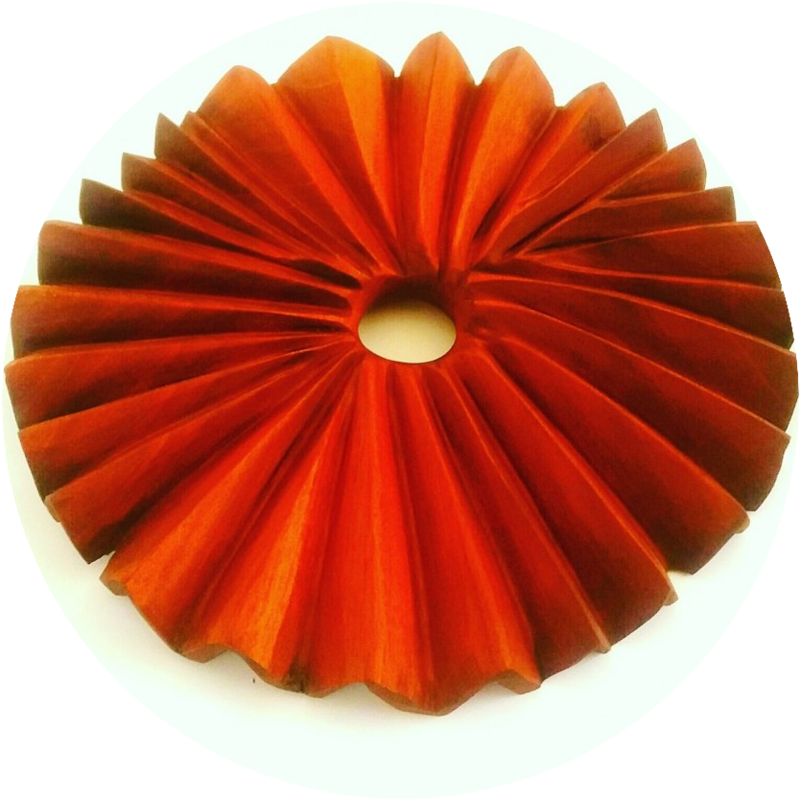 The source of my inspiration was the commercial production of her sunburst, masterfully created woven wall hangings from the ribs of the coconut leaf, raffia and cotton tread. This is an artist inspired from nature. The design lived in my m memory for decades as one of the most creative uses of a combination of materials I had ever seen; it is no wonder that the sunbursts wall hangings are still one of her most lucrative designs till this day. 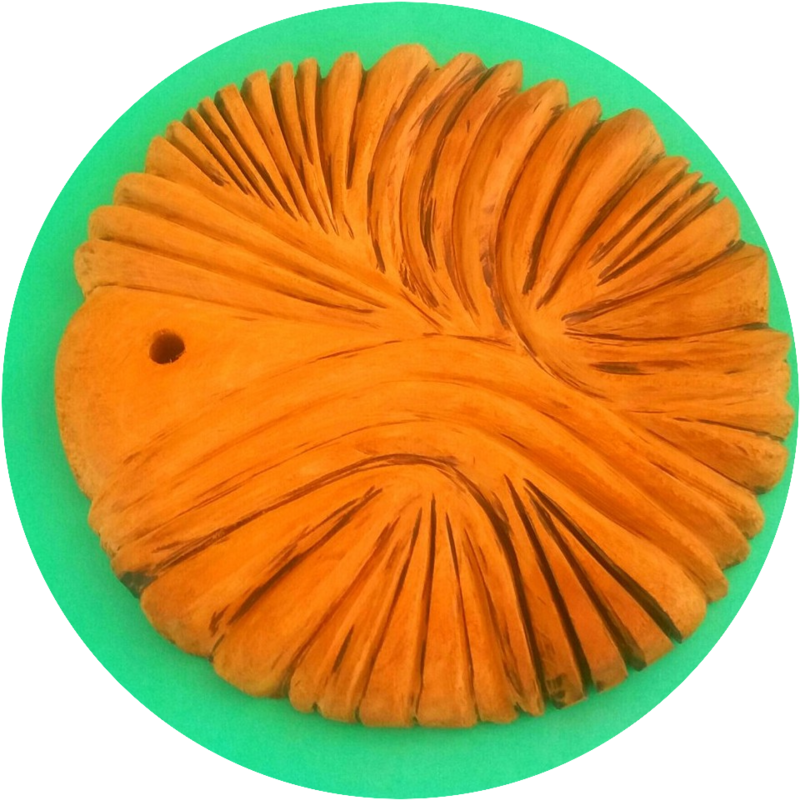 It was not until 2018 that the inspiration gave birth to my new series of relief sculptures in wood, the name sunbursts is not overshadowed but there are variations based on the theme, which I have labeled –landscapes. Definition of Primitive- found in searching the Internet for definitions. 1. Relating to, denoting, or preserving the character of an early stage in the evolution or historical development of something. Synonyms-ancient, earliest, first, prehistoric.primeval, lower, original. 2.very basic or unsophisticated in terms of comfort, convenience, or efficiency. Synonyms-crude, simple, rough, basic, elementary. 3. A person belonging to a preliterate, non-industrial society. 4. Of,relating to, or produced by a people or culture that is nonindustrial and often non-literte and tribal. The term Primitive art is rather vague description which refers to the cultural artifacts of “primitive” peoples-that is, those ethnic groups deemed to have relatively low standard of technological development by Western Standards. 5. A genre of art and outdoor constructions made by untrained artists who do not recognize themselves as artists. 6.the concept of “primitive art”is partly a figment of the romantic imagination of the Western art world. Leonard Adam-The mere foreignness of form and content of the various primitive arts serve to link them together in our mind for purposes of art criticism but that this linking is extraneous to the works themselves, being more a part of our attitudes toward them. Hilton Kramer wrote in the NY times (1982) in reference to the term primitive art- “It is taken to refer to the art produced by “backward” or “undeveloped cultures-by those societies that have existed at a great distance, either in time or in spirit, from the centers of advanced and highly developed civilizations. Although we are nowadays uneasy in our use of the term “primitive” to describe such cultures, lest it be interpreted as an ethnic or racial slur. This remains the meaning that most people have in mind when they speak of primitive art. I rest my case, the authors of the English Language can be a destructive force to Ethnic and Racial Harmony. Artists throughout history has been inspired by other artists, one historic art movement in Europe labeled –Modern Art,is a classic example; it has always pissed me off to know that modern art movement was inspired by African art, but what pissed me off is the fact that historians have continued to label African art,- the source of the inspiration – Primitive Art, and the European movement Modern Art. There are other artistic movements that has influenced art through the ages, movements like cubism, symbolism, neo-classism, realism, surrealism, impressionism, fauvism, and others. These movements were influenced by other cultures, like the Romans, the Greeks, the Aztecs, the Indians, the Africans, the Asians, the Chinese. The New York Times published an article by Douglas McGill in 1984 entitled –What Does Modern Art Owe The Primitives? Why couldn’t the headline read-What Does Modern Art Owe African Art. In his article McGilll states that nearly every major museum and several small ones are mounting exhibitions of “primitive” art-art of tribal peoples from Africa, Oceania and North America. Africa- the seat of civilization, where we still cannot determine how the Pyramids were built. Africa the place of the first University in History. The article also mentioned an exhibition mounted by the Museum of Modern ART that exhibited 150 modern and contemporary exhibits and 200 pieces of tribal art, displayed side by side, in most cases for comparative purposes. My art career started in England in the late sixties, and I would not hesitate to announce that Hans Arp, Henry Moore, Barbara Hepworth and the Italian Artist Modigliani were greatly admired and has inspired my work greatly. Roslyn Watson is still doing her thing in Barbados at her location in pelican village, a stone throw from the deep water harbor and cruise ship terminal. This is a general in small developing Islands who has to rely mainly on the Tourist Industry to eke out a living. Trinidad is somewhat different, I am sure there is more of my early work in Trinidad than in Barbados. 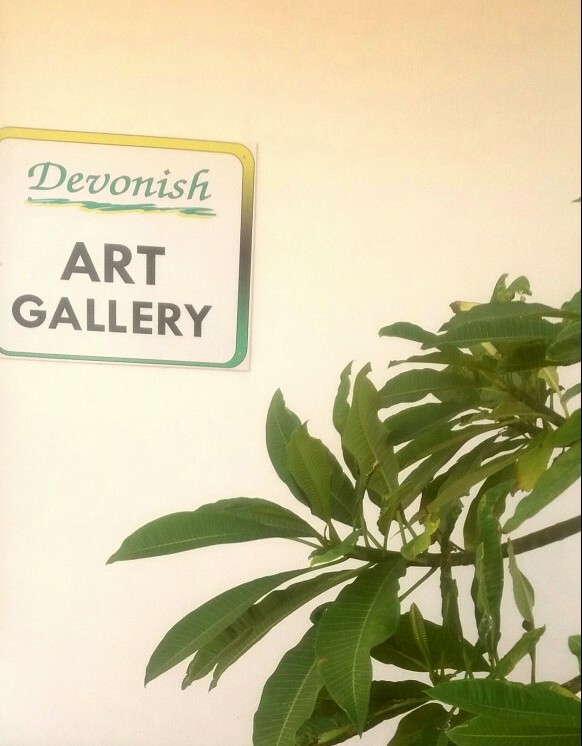 We have not yet incorporated proper art education and art appreciation in our Caribbean schools. Maybe we need to elect an artist as Minister of Culture in every government, to achieve that reality. My brother who still lives in England called this week to inform me that heattended a Black History Month Exhibition Aat the Coventry Herbert Art Gallery and Museum and was schoked to see an online presentation where samples of mywork (1967 to 69) of my work, which were exhibited at the Museum. What are our Caribbean Countries or leaders in your neck of the woods doing to preserve the memory and artistic creations of our elders and peers? Looking for a Career in Art, What’s Your Choice.? Do you wish to be an Artist? Are you looking for an art school? Where do you talent lie? What medium will you choose? When we think of art education in today’s world we have to add Digital Designing and Gaming. My middle education did not include, but I had developed a love for ceramics from my early primary school education; as a result my high school education ended without any training or qualifications in art. As fate will have it I was given the opportunity to study art at Teachers Collage; and except for Three and a half years teaching, The rest of my life is devoted to creating art and managing an art gallery. The course at the teacher’s collage offered a compulsory one year course in art in five disciplines; needle work, fabric printing, ceramics, painting and sculpture; you were allowed to choose on discipline as your main subject for the remaining two years of a three-year course. 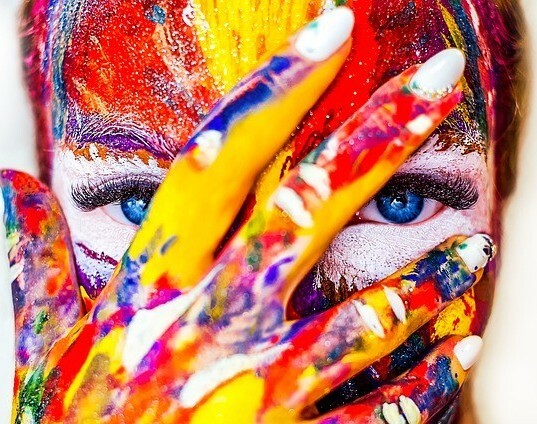 Today art is so diverse that budding artists have many choices; if you are facing that choice, this article will serve you well and may help you find your passion. Drawing, Pencil, Pen & Ink, Markers, Pastels, Chalk. Charcoal. Painting. Watercolor. Acrylic. Oil. Airbrush. Print Making. Linocut. Woodcut. Etching. 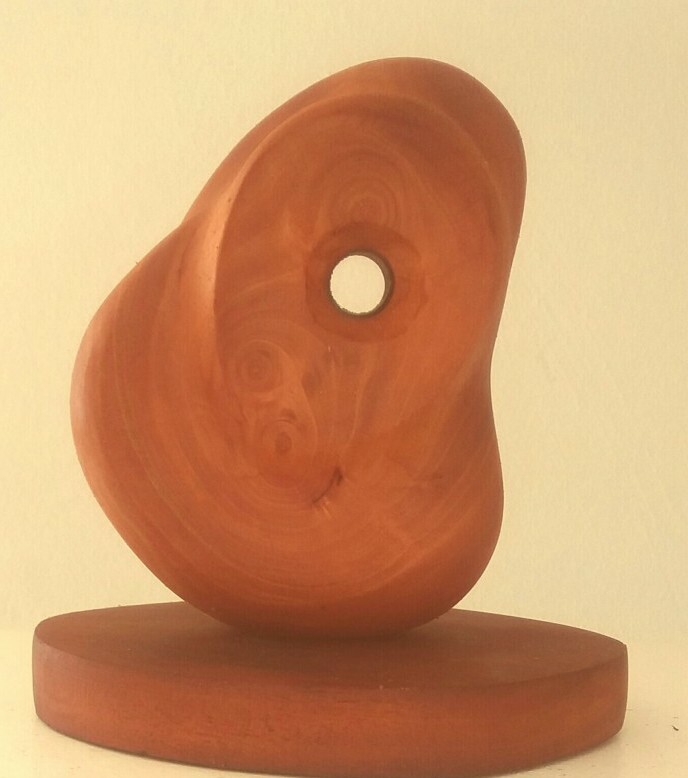 Sculpture: Wood. Metal. Stone. Clay. Glass. Concrete. Let me deal with my passion first, Sculpture; perhaps you would like to engage in some training. There are many institutions in North America and Europe offering training. Game designing.org list the top 50 art schools in America,25 of which are listed below. Vancouver seems to be the most popular city for Art colleges and universities in Canada. According to my limited research and firsthand knowledge the average cost of room and board may range from 14.000 to 15.000 Canadian dollars per year with additional costs averaging another 4 to 5 thousand per year. There are also some great universities between 25 and 27 thousand. Western University. London, Ontario.BA, 33,771,50. UA 25,764. Most college and Unuversities courses are three year courses, but many of them offer shorter and special courses. Do an Internet search of any on the list and view the details of all the interested course. Where you live is also very important for your happiness, read all about your chosen city, and what are the attractions, weather and cost of food and accomodation. When you have finished searrching, please list your top five Intsitutions in order of preference.Happy hunting. Are You Underpaid as an Artist? Do your customers respect your worth as an Artist? How should you price your work as an Artist? Can you survive as a full time artist? A plumber came to my house to fix a problem, it took him less than half an hour, his minimum charge was $60.00, or his five hour daily rate was US$200.00. Unskilled construction workers are paid US $10 to $15 an hour in a poor and struggling economy. Domestic workers are demanding US $8 TO $10 an hour. One domestic worker was asked to carry out a cleaning assignment at my home;and was told she was not cleaning any more homes unless she is paid US $150.00 per day. This prompted me to examine my pay structure for my art creations. I am a high school graduate and a trained primary school teacher; I have been a self-employed artist for the past 5o years, so experience should count for something. My bread and butter creation and most popular item in the gallery is a small hand held,hand carved heart that takes one and a half hours to carve from start to finish, plus the cost of the wood and finishing materials; yet that heart is sold for $25.00 in the gallery and $16.00 wholesale, in order to attract any wholesale business at all. I am currently working on a 12-inch relief sculpture. Time spent so far was 10 hours and I am still carving, it might be completed in another 10 hours. What should be the sale price of a sculpture that took three and a half years of training and 5o years experience. Don’t you think I deserve better than a domestic or construction worker? The local school is complaining that the academic students are not interested in art, yet they are among the best artists in the schools, the modern day educators are still struggling with the misconception that non-academic students are better suited to be taught art; when the evidence to the opposite is staring them in the face. During a discussion with the principal of a high school, who was an artist herself, I asked her to go and select the students in the school who were the best art students, and she will discover they are also the top academic students in the school. A week later she came back to me with the confirmation that I was correct; and that is something I discovered as a kid in primary school; why can’t educators today see the light. Society, educators and parents are depriving societies of their best creative talent, not only in art but other important areas of intellectual and industrial development. All we have to do is to look who are the driving force of economic developments in history and you will find that many of them were school and university drop-outs; the system failed them. We must learn to respect art education and artists, make sure they can earn a decent living, see art as the seed to critical thinking, social and economic development, and a better and more beautiful world. What do you think should be the selling price of my finish 12 inch relief sculpture? send me your answers. A partnership can be a leaky ship. Over the 50 years I have been existing as a Fulltime Artist and Entrepreneur; I was privileged to enter several business partnerships, and was forced to enter one. The experiences were mostly painful and unsuccessful; but it would be remiss of me not the mention the one happy and successful partnership and friendship that still exists to a limited extent to this day; hampered only by distance. I used the word friendship, because it is highly likely that any partnership arrangement will be with a friend, probably eight or nine times out of ten. My happy and successful partnership was an unusual partnership that had very little room for contention, the partnership was with another artist who worked in a different medium; we both respected each other’s creations and we both had our own retail outlets, and marketed each other;s work. 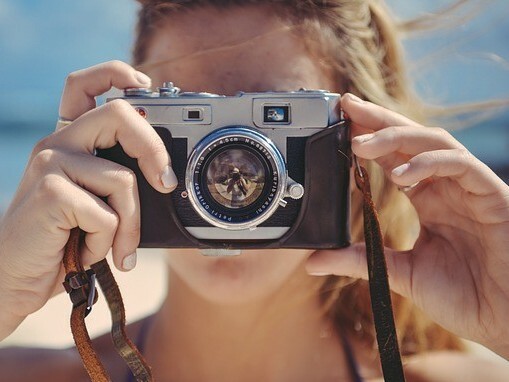 When you are operating in a Tourist destination, in an environment where Art is relatively new, reaching local customers can be a challenge. That was the case with both with us, which prompted some thinking outside the box. Our largest and most popular department store was located in the main city of Bridgetown, there was a restaurant on the third floor, next to the furniture department; the restaurant was also popular with locals and tourists alike; the prices were affordable and local favorites were on the menu. The lean business period for the furniture department was during the sugarcane season, commonly referred to as the crop season; which on the other hand was a busy time for tourists and disposable income for the locals, plus most city office workers ate their lunches at the restaurant. A request was made to the managing director to allow us to host a joint exhibition of our work in approximately 500 to 800 square feet of the furniture space next to the restaurant. We offered a 35% commission on sales to the store; we offered to be present ourselves; or one of our workers will be present as sales persons, but the purchases will be handled by one of the cashiers from the store. The first exhibition was so financially successful that the exhibition became an annual affair, and changed the management’s perspective on local arts and crafts; so much so that it became part and parcel of the store’s merchandise. We were all very surprised by the response of the locals; many of them did not frequent our retail outlets, but they were familiar with our work; they had seen it in hotels, restaurants and many of the villas and establishments where they worked. The often repeated comment was “We have seen your work and liked it, but we never thought that we could afford it”. 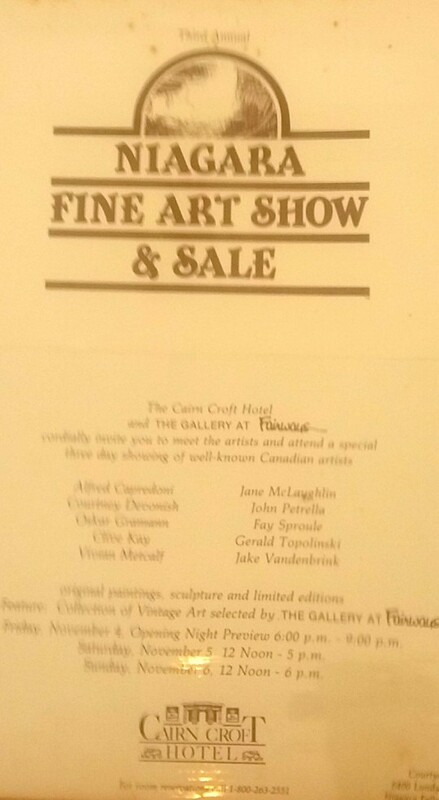 The exhibitions were the most successful exhibitions we ever hosted, both in attendance and sales; as a spin-off we were invited to host similar exhibitions in one of Trinidad’s largest depart sores at the time. The same problem now exists in Anguilla; there are no department stores in Anguilla, one of these days I plan to engage a supermarket in the idea. A Partnership That Left A Sour Taste In My Mouth. 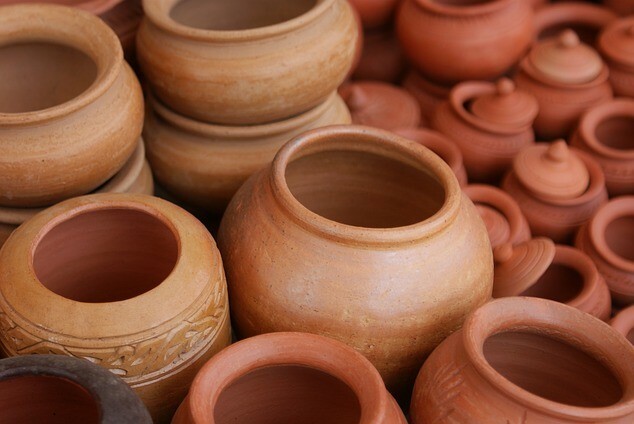 An English investor approached me as the CEO of a small ceramic production enterprise, and made a proposal to expand the operation with him as a partner; I informed him that I was not interested. Days later I received a call from the Minister of Trade asking me to reconsider the investor’s offer; I told him also that I was not interested; at which point I was invited for discussions with the Ministry of Trade; what they relieved was disturbing and very political. The options on the table were hard to ignore; the ministry was planning to grant a Duty Free License with incentives to the investor; they were aware that another production operation would hurt my operation, and they were trying to avoid the political fall-out. If I had done some research I would have called they bluff; but it was another mistake made. The ministry advised me to form a partnership; because they were prepared to grant the duty-free status to the investor with or without me. A partnership was formed, which did yield some interesting developments. The new operation build a state of the art 160 cubic feet natural gas kiln; with one powerful burner that circulated air throughout the kiln for fast cooling. I must admit I was excited because of the new technology and increase production. The sad discovery was that the investor knew nothing about pottery, and had no experience about producing ceramics, beyond researching the new gas kiln. It was not long before there were challenges in the working relationship. One day there was a visit from an important local businessman, who unashamedly announced that he was approached by the partner to purchase my shares in the company; but he would only purchase the shares if I remained as production manager. My daughter also tells strangers to beware of my laughs, because I do laugh when I am very angry. My laughter did puzzle the local businessman, when he was informed that I did not offer my shares for sale, furthermore there were no discussions with my partner about selling my shares; plus I had no desire to work for anybody but myself; he was more puzzled. The relationship between my partner and myself became unbearable. I walked away from the company and reopened another ceramic studio; The partner tried to continue the joint operation without my assistance, and the business eventually failed. The self-owned ceramic studio remained in operation until my migrating to Anguilla. That experience should have been enough to teach me the difficulties of a partnership, but I did it again and again. The Challenges of Mother Nature. Living in Paradise is a great asset, but it also has its challenges; The weather, the sunlight and outdoor advantages are a blessing, but mother nature can inflict some serious blows, emotionally, financially, and physically. The Caribbean is prone to hurricanes annually; the Atlantic hurricane season starts on June 1 and ends on November 30; but the season peaks in late August through September. There are several ways in which your business and production can be interrupted. 1. You are at risk for wind damage of flooding; if your premises are not properly secured against hurricanes, damages could be catastrophic, Stock could be damaged, even if your premises survive a hurricane, the lost of essential services can take its toll. I have experienced 3 major hurricanes in the last decade; we suffered water damage during one hurricane and lost of production time for over 3 months on each occasion; After Irma lost of production time was six months and loss of business was over 12 months. Electricity, Internet Service, communications were disrupted for over four months and over six months in some areas. Tourism is the major industry for most Caribbean countries, for Anguilla where I reside it is the only industry. After a hurricane Travel is severely disrupted, hotels close for repairs, damage to airports prohibits planes from landing and many other factors brings tourism to a halt. The only sectors that cannot complain after Irma are the construction workers and the auto mechanics; even so lack of finances to carry out repairs delayed the recovery process. It is safe to say that most business catering to the tourist industry, lost over twelve months of business in the aftermath of hurricane Irma. The Impact of the hurricane season is very destructive to Island economies, it is the main reason why we have the two seasons the Tourist Season, which can be as short as four months for some Islands-December to March and as much as five to six months for some. It is unfortunate because some of our best weather can de between June and August; but the fear of hurricanes impact on travel to the hurricane destinations. Lack of Proper management by some destinations is partly to blame for the misunderstandings surrounding the off-season. It is virtually impossible to run a financially successful business of six months of steady business unless you charge high prices to offset the lack of business during the off-season. Modern Technology and communication achievement are at such a high level that adequate warning are available to encourage travelers to plan their travels fairly safely within a seven to ten day period. This requires cooperation of the hotels, airlines and Tourism managers; for example, Tourists once traveled to Anguilla during September and October; but most of the major hotels, restaurants and related services started closing during those months, as a result the number of holiday visitors during those months declined to almost zero. How do you prepare for all the negative influences on your business as an Artist and Entrepreneur?. Only successful and long established businesses might be able to afford the rising costs of insurance today; but if you can afford it you should take out an insurance policy against physical damage, loss of stock and business interruption; Ideal for a business that can afford it, read all the fine print carefully, especially when it comes to flooding; many insurance policies does not cover flooding which is very possible during a hurricane. If you cannot afford insurance, make sure your premises are secured by hurricane shutters, and at the earliest warning of a hurricane, try to secure your stock and raw materials as much as possible. It is wise to invest in an adequate size generator for your needs in case you are without power after a hurricane. A supply of solar gadgets will come in very handy, lights and chargers should be top of the list. Add a couple tarpaulin to your list of hurricane supplies. The life of an artist can be a dream come true, and very rewarding; but you must be willing to take the good and the bad. This year will make fifty years as a full time artist, and I would not hesitate to do it all again; I wish I had the opportunity to learn from some mistakes; now I am giving you that opportunity; Take Heed. Don’t be a big fish in a small pond, seek as much exposure as possible, both locally, nationally and internationally. There are several ways this can be achieved. Build your local, national and international reputation. Start locally by acquainting yourself with the art programs of your local area and country, many countries organize local exhibitions and competitions; select your best creations for such competitions or exhibitions, solicit the opinions of your customers and friends, they can reflect the opinions of your judges. During the seventies and eighties the Natural cultural foundation of Barbados featured national exhibitions in several categories of the arts; these exhibitions gave me the opportunity to boost my national reputation, by winning first prize in every completion entered in the visual arts section, you were allowed three entries, which gave you the opportunity to win all available prizes; first, second, third and best in show. In the beginning there were monetary prizes, I was fortunate to be awarded first prize and at least one other prize for three consecutive years; The last year I entered the competition I was awarded the first, second, third and best in show prizes. The following year the organizers approached me with an indecent proposal; I was asked to continue submitting art work for the completion on the understanding that they will not be judged, in order to give other artists an opportunity to win prizes. I was willing to accept the proposal on condition that they post a notice saying my entries were not part of the judging process, but were for exhibition purposes only. My demand met with much opposition, which ended my participation in the exhibitions. The organizers stopped the monetary prizes and used the prize money to pay another artist to design trophies for the prizes; This action had a negative impact on the competition, other artists stopped participating and interest in the competition waned. You can build your statue and resume as an artist by participating in regional exhibitions. CARIFESTA is a regional Caribbean festival of the visual and performing arts, held in different countries every four years; I am still participating in this festival as a national of Barbados and currently of Anguilla. This exhibition has boosted my reputation throughout the Caribbean; and also opened the doors for invitations to feature successful exhibitions in galleries in other Caribbean countries ; the most successful exhibitions were in Trinidad, Antigua and St. Thomas. Almost all countries are involved in some form of tourism, with an established Tourist Board to promote the destination and programs. Be very aware of their programs and seek every opportunity to be a part of them. My success as one of the leading artists in Barbados was recognized by the creative managers of the Tourist Board; this resulted in my being invited to be part of their promotion initiatives in North America;The most successful was participation in the annual Canadian National Exhibition, which had its other spin-offs, radio, TV, and newspaper interviews, opportunities to be artist in resident at three USA Universities, and several one man exhibitions in both the USA and Canada. During all of these programs my focus was as an ambassador for the island and promoter of its Tourism Project.as the CEO of a local art gallery, it was vitally important. 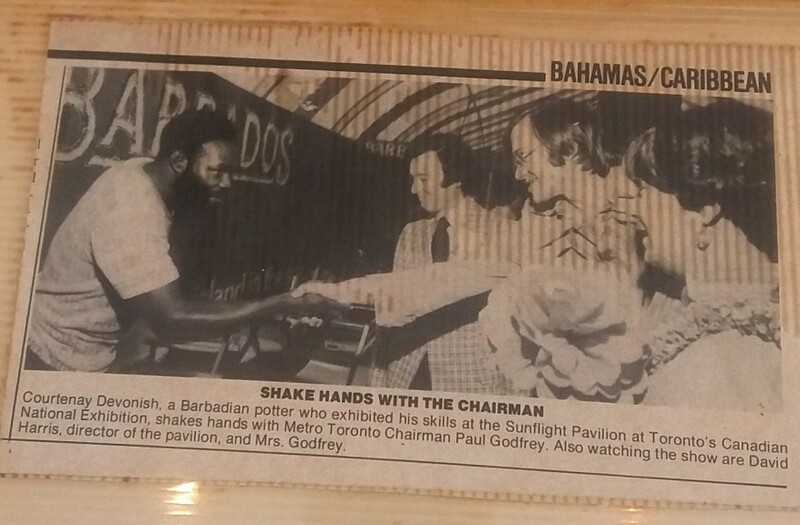 One of my most memorable interviews was conducted by a Canadian radio commentator who came to Barbados and conducted the interview on my porch within earshot of bunch of noisy crickets. When the interview was being aired in Canada, the radio station was inundated with telephone calls to find out what were the background noises. There are many international organizations that offer training workshops, scholarships and fellowships for artists. Many opportunities go a begging especially when there are sent to government departments; and friends or family of the responsible persons are not engaged in the field offered. 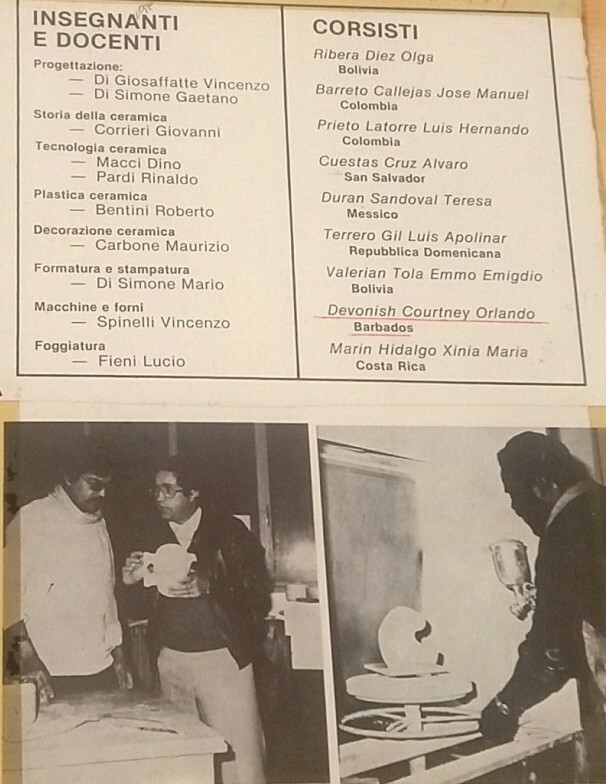 An application for an OAS fellowship was once retrieved from the wastepaper basket in a government office and brought to me, my application was successful ; resulting in my studying ceramic technology in Italy for six months. International Art magazines are a great source of information to help boost your career as an Artist and Entrepreneur. Always check with the appropriate government departments or Art Associations for information on any training, exhibitions or exchange opportunities to boost your career. If you are an Artist wishing to survive without having to take a 9 to 5 or part-time job, you must be prepared to suffer some hardships and sacrifices, but I can assure you the rewards are more than worth it. It is extremely difficult for an artist to survive selling just pure art, whether you are a painter, sculptor, weaver or whatever discipline. Be prepared to supplement your income producing quality fine craft, or you may have to take part-time jobs. Do not be fooled by the pure art galleries you may encounter. Chances are they have undergone years of struggle before reaching stable and economically viable position, or a wealthy benevolent husband, wife, close friend or organization supports them. Don’t be afraid to take the plunge, try to open your own small gallery. Look for an affordable rental space in a busy tourist shopping area, or an old abandoned distinguished historic building you can decorate and promote. Do not Underestimate the power of Internet marketing; this offers you billions of people from all over the world as your market. If this is new to you, then learning is not a problem, Just click on the advert in the side bar and get started. Consult with someone who is an expert for additional help to speed up the learning process. Business plan is vital for the success of you operation. 1. Setting up a bank account. 2. Can you afford to hire an employee, If the thought is very daunting, organize a time table when you can manage the business during the optimum business hours; I have operated a retail space where late afternoon and early evenings were the best opening hours; restaurants and entertainment bars were frequented by tourists and locals during the chosen hours. This allowed me to produce for at least four to five hours a day. Currently during the slow season, the gallery is opened from 9 am until 1 pm. the opening hours are prominently displayed on the entrance door. This enables me to produce for another four to five hours a day; and avoiding having to hire staff. Strict stock control should be organized, whether you are managing the operation and more so if you are employing a sales staff; this allows you to monitor whether you are losing stock due to theft or dishonesty. Do not clutter your displays; this not only gives your stock quality appearance but it also allows you to monitor sales activity. you may even take photos of your displays, in case you ever had to confirm any queries. When I started my gallery there were no cell phones for easy capture and storage of photos, but every week I would monitor a particular shelf display, I was able to recognize when an item was sold or missing. If you have been reading my posts, you would have read of an incident where this practice lad to the dismissal of an employee, luckily for me the customer brought the item back to ask for an exchange, the employee had denied selling the item. If your budget will accommodate, install a security system with an alarm in case of burglary and a camera or two to monitor activity, the entrance door and the cash station are your first choices; with today’s systems you can even monitor the space from the comfort of your home. As a businessman I have learn to “Trust No One”it sounds terrible but you have to face reality, I have employed many workers but there were only 3 that I felt comfortable with; and one of them led me to that slogan-trust no one. One of the most honest if not the most honest person I have ever met was a young lady who worked in the ceramic workshop, but did house keeping for me on weekends and holidays; I may have told this story before, but I feel compelled to repeat it in this context. Tears still comes to my eyes when I recount this story; my response was “I will try to search my pockets; but from now on if you find any change you have my permission to take it”That lady worked with me for over 15 years until I immigrated to another Island, worked in sales, ceramic production, and house keeping. Because of that experience a plan was devised to test all sale employees. Employees were told to always report whether cash was not reconciled at the end of the day, whether it was over or under; if it was under they were responsible and if it was over still report it because it may turn up during stock taking. They were not only told but the system would be tested at certain periods; Extra money would be slipped secretly into the cash register for at least 3 times for an employee; If the extra money was not reported after the third time the employee was dismissed sometimes with a different excuse. The Banks and credit card companies had done businesses a great service by not displaying the full number on receipts as was the custom in the past. Only once did I experience credit card theft, the customer did not shop at my establishment but the credit card number was used in my establishment to make a purchase. This story indirectly involved the Beer House, some of my customers worked in the hotel industry, they would frequent after work and sample the variety of beers; one such customer was a lover of Lowenbrau, a high quality German beer. He worked as a waiter at one of the leading hotel restaurants. Two close friends were visiting from England and they offered to treat me to dinner at the same restaurant that my Lowenbrau customer was working as a waiter. As luck would have it, he was our waiter and we were treated to excellent service. My friends were paying, so I insisted on him bringing the bill. we did leave without having to pay the bill which was an expensive dinner. The same week my Lowenbrau friend came to the Beer house while I happened to be there drinking with my English friends. The restaurant staff operated in collusion, they had devised unimaginable systems to supplement their incomes. The most outstanding scheme was operated from the bar. They would buy their own alcohol wholesale; only the hard liquor,- gin, whiskey, rum etc. and when the time presented itself they would sell orders from their own bottles ans share the spoils; which could be substantial when the bar is very busy; this was an unbelievable scheme. Apparently when a heavy drinker was at the bar presented a field day. I was told that after the first two drinks most heavy drinkers are vulnerable; instead of serving one prescribed shot of liquor, the barman will serve half a shot enabling him or her to own at least one third of each bottle to sell for themselves and offer their friends the occasional free drink. This scheme has been highlighted before as being learned from my barman, perhaps this is the origin of his knowledge. Heavy drinkers and regulars would offer the barman a drink on his tab, the barman would pour a nonalcoholic drink from his angostura water and charged the customer for an exotic drink and pocket the cash. 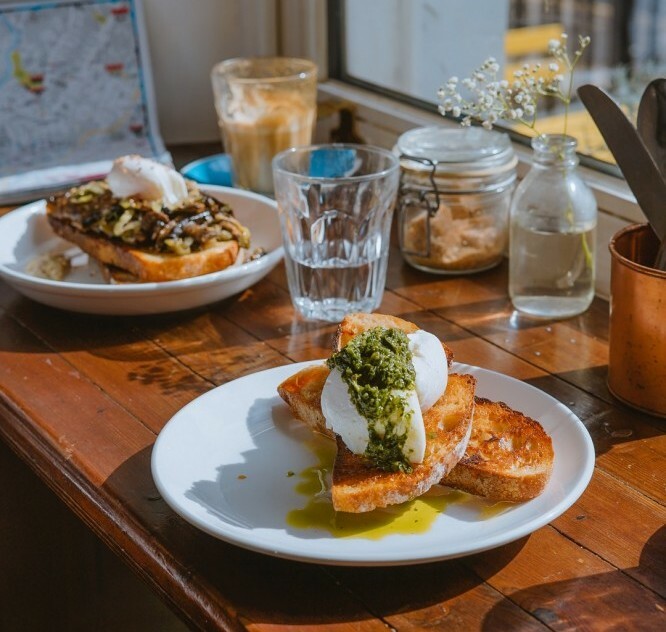 A similar scheme was operated from the kitchen, which enabled the staff to offer their friends a free meal when the opportunity presented itself. I found this more difficult to comprehend unless the purchasing manager was part of the team. Do not eat after an aggressive complaint about your food. One piece of advice I have followed from that day onward; it was something my innocent trust in human behavior would never have conceived. ‘A word of advice Mr. Devonish; if you ever have to send food back to the kitchen, be very nice about it; better still don’t eat it. chalk it up to an unpleasant experience. Neither the Chef nor the staff appreciate customers sending food back to the kitchen, especially after complaining in unpleasant manner. A similar story I heard at one of our Rotary came to mind. A particular Rotary club meet every week at a Chinese restaurant for their dinner meeting. They received a talk one evening that pricked their conscience; and they all remembered how shabbily they taunted the waiter. The following week they approached the waiter and apologized for the way they had treated him in the past, and promised not to do it again. I never complain about food to the staff in a restaurant, If I do I will leave without eating and never return. The Cheaters-Too smart for her own good. In the fifty years as an Entrepreneur and Gallery owner, the police were involved in the business three times, the last time was an epic episode. This incident occurred later in the operation of the gallery, but as I had promised I would get the cheaters out of the way, We hired a very attractive, smart and competent sales assistant to work along with another young lady to manage the day to day sales. The gallery has always carried a limited consignment stock, checks were written for consignment stock sold between the 7th and the 15 of each month. One particular month the checks were written for the artists to personally collect; one particular artist was off Island, the check was sitting in the desk for a short period. On return to the Island the artist went to the gallery to collect their check, and the check was missing, no one could account for the missing check; the Bank was informed that the check was cashed during the period the artist was off Island. One of my fantasies is to be a police investigator. There were only two persons who had access to the check, but a couple of incidences roused my suspicion. One of the young ladies had twice behaved suspiciously in trying to trap me into a sexual compromising situation, but my will power was strong enough to ignore both incidence; but now it occurred to me that there might have been a motive. The incident was reported to the police by the Bank; the fraud was their responsibility ; the bank teller did not follow the correct procedure by requesting an ID from the person cashing the check. During my interview with the police the question was asked whether the cashier was a man or a woman, because in my opinion if the cashier was a man he would remember the young lady I had suspected. It was indeed a man and an arrangement was made where the cashier could witness both young ladies without their knowledge. “Yes I remember the young lady, because I had taken a liking to her” said the cashier. The young lady was arrested, charged and imprisoned awaiting a bail hearing. A message was relayed to me asking for help by the imprisoned young lady. She had forged the second young lady’s signature as the person cashing the check, a second signature was forged as the artist authorizing the payment tho the person cashing the check. When the two signatures were viewed, I informed the police that the signatures were forged, in the first instance the artist was off Island and could not have signed the check, secondly The second signature was forges because the name on the check had a dotted ‘I’ and the particular young lady never dots her I’s. A visit was made to the police station to meet with the young lady in the holding cell; she pleaded for mercy, and I agreed to help on condition that she give the name of the second signature which was unrecognizable; she blatantly refused; so I left empty-handed and not offering any sympathy or help. The long and the short of the story, A male benefactor paid the bank for its losses, were able to extract the name of the second signature; but the bank requested the case was dropped by the police. The very attractive young lady went Scot free, there were no charges or conviction on her record. There was on other incident involving the police, The young lady involved still has my trust and the case only involved the gallery to the point that the young lady was an employee and the fraud was perpetrated from the gallery using our telephone and digital facilities.